Gypsum board is the generic name for a family of panel products that consist of a non-combustible core, composed primarily of gypsum, and a paper surfacing on the face, back and long edges. Various types of Gypsum boards are one of the several building materials covered by the umbrella termed as “gypsum panel products.” All types of gypsum board products contain gypsum cores; however, their faces can be or wrapped with a variety of different materials, including paper and fiberglass mats. 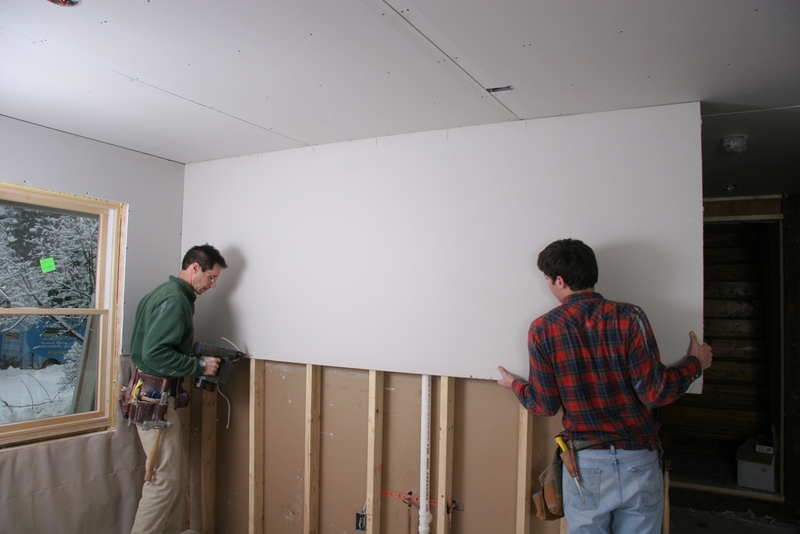 Gypsum board is often called drywall, wallboard, or plasterboard. It differs from other panel-type sheds road, building products, such as plywood, hardboard, and fiberboard, because of its non-combustible core and paper facers. When joints and fastener heads are covered with a joint compound system, gypsum wallboard creates a continuous surface suitable for most types of interior designing of residential and commercial spaces. Also Read: Gypsum Board: All You Need to Know! Manufactures and Producers of Gypsum Boards offers wide variety of gypsum board products for various specific applications, including: the surface layer of interior walls and ceilings; a base for ceramic, plastic and metal tile; exterior sheathing and soffits; elevator and other shaft enclosures; area separation fire walls between occupancies; and the fire-resistant layer over structural elements. 1/4 – inch (0.635 cm) – A low cost gypsum board used as a base in a multilayer application for improving sound control, used to cover existing walls and ceilings in remodelling and for curved surfaces. Generally, Gypsum Ceiling board is ideal for home décor. 5/16 – inch (0.79375 cm) – A specialty product primarily used in the production of manufactured housing and in laminated double thickness for special sound control panels. 3/8 – inch (0.9525 cm) – A gypsum board principally applied in a double-layer system over wood framing and as a face layer in repair or remodelling. 1/2 – inch (1.27 cm) – Generally used as a single layer wall and ceiling material in residential work and in double-layer systems for greater sound and fire ratings. 5/8 – inch (1.5875 cm) – Used in quality single-layer and double-layer wall systems. The greater thickness provides additional fire resistance, higher rigidity, and better impact resistance. 3/4 – inch & 1 inch (1.905 cm & 2.54 cm) – Used in interior partitions, shaft walls, stairwells, chase ways, area separation firewalls and corridor ceilings. Special edged panels are used in some interior partitions. Standard size gypsum boards are 121.92cm (48-inches) wide and 8, 10, 12 or 14 feet long. The 121.92cm (48-inch) width is compatible with standard framing methods in which studs or joists are spaced 16 inches and 24 inches (60.96cm). Customized gypsum boards can be available from the manufacturer. Edges available are rounded, tapered, beveled, square edge, and tongue & groove (V-edge). The square and tapered edged board are most common and easily available in the market. Beveled and round edge boards can be produced on demand. It is Covered with Ivory cardboard on facing side, Grey cardboard on back side and Blue color tape on edges. This gypsum wall is used as a covering material for walls, ceilings and partition walls. This is Ideal for Gypsum false ceilings. It is Covered with Pink cardboard on face side, Pink or grey cardboard on the back side and Red color tape on edges. This is used as covering material for Interior walls. Gypsum ceilings in residential as well as a commercial space that require specific fire rated assemblies. This is Ideal for ceiling & drywall where high level of fire protection is required. Also Read: Industrial Interior Design Style: 7 Key Features for Your Interior! It is covered with Green cardboard on the ace side, Grey cardboard on the back side and Green colour tape on edges. It is used as covering material for Interior walls. Gypsum ceilings are used in residential as well as a commercial application that require specific moisture or water rated assemblies. This is ideal for ceiling, drywall partition, base for tiles installation in wet areas like bathrooms, kitchens and External soffits in sheltered positions. It is covered with Green cardboard on face & back side and Black colour tape on edges. It is used as covering material for Interior walls and ceilings in residential as well as a commercial application that required specific fire or moisture rated assemblies. It is generally used as a Drywall partition and protection of structural steel elements. It offers greater resistance to surface indentation, abrasion and penetration than standard gypsum panels. This gypsum board is designed for use on the undersides of eaves, canopies, carports and other commercial and residential exterior applications with indirect exposure to the weather. Soffit board is available in 1/2 or 5/8 -inch thicknesses with both regular and Type X core. 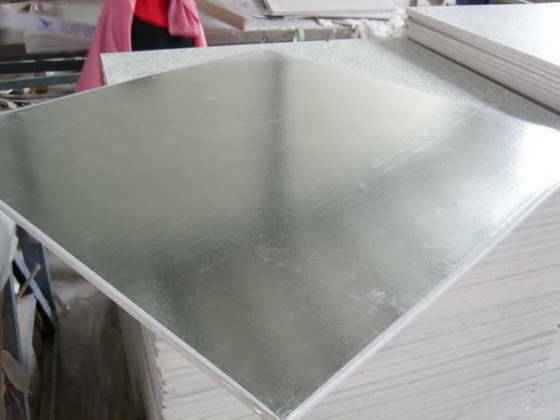 It has aluminium foil laminated to the back surface of regular gypsum board or other gypsum panel products. Foil-backed panels serve as vapor barriers. Also Read: Foil or Metallic Wallpaper to Brighten up the Darker Room! 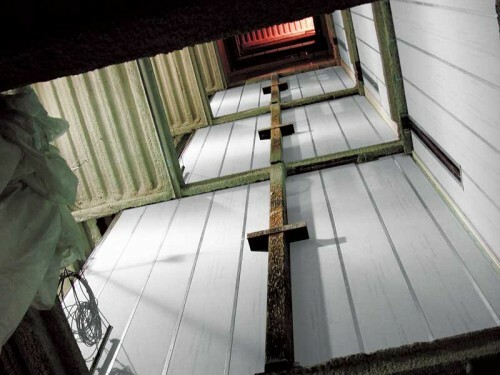 It serves as a liner panel in shaft walls, stairwells, chase ways, area separation firewalls, and corridor ceilings. It has a special fire-resistant core encased in moisture-resistant paper. Liner board is available in ¾ or 1 -inch thicknesses, widths of 24 or 48 inches and with square edges (sometimes eased square edges). Gypsum liner board is also available with fibreglass mat facing which increases its weather and mold resistance. It is used as a protective fire-resistant membrane under exterior wall surfacing materials such as wood siding, masonry veneer, stucco and shingles. It also provides protection against the passage of water and wind and adds structural rigidity to the framing system. The non-combustible core is surfaced with water repellent paper; in addition, it may also have a water-resistant core. Gypsum sheathing is available in 2 feet and 4 feet widths, ½ -inch and 5/8 -inch thick. It is also available with Type X core. Gypsum sheathing is also available in glass mat facing. This product is more weather resistant and mold resistant than paper-faced gypsum sheathing, and it is often used as a substrate for Exterior Insulating Finishing Systems (EIFS). It offers greater resistance to the impact of solid objects from high traffic and vandalism than standard gypsum panels. It is a ceiling panel that offers greater resistance to sagging than regular gypsum products used for ceilings where framing is typically spaced 24 inches. Also Read: Which are the Best Materials & Finishes to Use in Modular Kitchen? It is available in ½ -inch and 5/8 -inch thicknesses and is required in some fire rated assemblies. Additional additives give this product improved fire resistive properties. It has a water-resistant gypsum core and a water-repellent paper. It serves as a base for ceramic or plastic wall tile or plastic finish panels in non-wet areas. This product is available with a regular or Type X core and in ½ -inch and 5/8 -inch thicknesses. Above listed were the types of gypsum boards which are available in the market. They have various properties like physical and chemical, which differentiates them for their applications. We hope the article would have provided you the knowledge on types of gypsum boards. If you think some points have been missed out or you want to share your ideas on this topic, then please do so by commenting in the box given below.